This section of the Stroudwater Canal is available for navigation by private craft provided a license has been. Please remember that the offside canal bank (the one opposite the towpath) is usually private property. The total length of canal here is about 1Km. Access to this section is at the point where the canal is intersected by the A38 roundabout at the end of the A419. There is a lay-by on the A38 northbound carriage way just after leaving the roundabout. It is necessary to cross a style between the roundabout and the canal and some portaging may be necessary due to reed growth before open water is reached. On the opposite bank of the canal is Whitminster Wharf. This was an important point for transferring goods from the canal to road transport for local distribution. The canal heads westwards with a pill box on the south bank before eventually reaching Occupation Bridge. 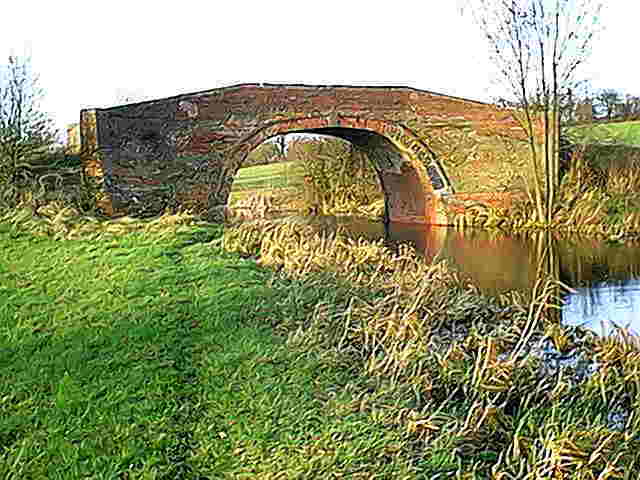 This original brick bridge was restored by contractors working for the Cotswold Canals Trust a few years ago. A short distance beyond the bridge, the canal is crossed by an oil pipeline at a fairly low level. It was this pipeline that killed off the tanker traffic on the River Severn in the late 1960s. There should be sufficient headroom for small craft to pass under it. The next significant feature is the site of Stonepitts Bridge. This used to be a swing bridge but the crossing has been culverted so portaging around this obstruction is necessary. Nearby is another pill box. The canal beyond Stonepitts has been dredged recently and there is a good depth of water. The canal stops just short of the River Frome at the site of Lockham Aqueduct. 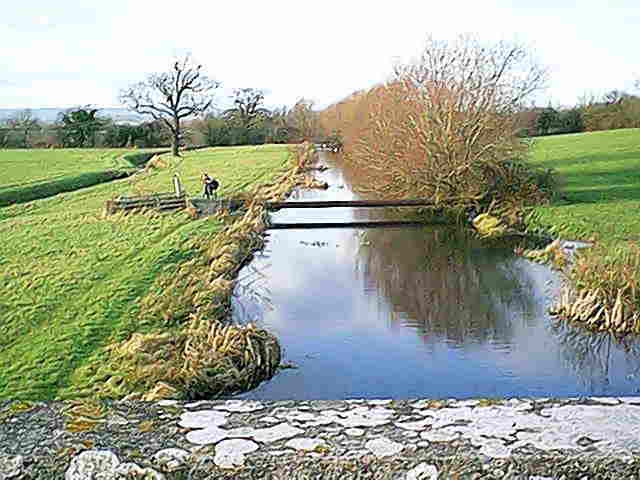 The water levels of the canal and river were very similar at this point and the river dipped under the canal. Following the closure of the canal, concerns about flooding resulted in its removal and the river and canal beds were merged westwards from this point to Whitminster Lock. The restored canal is expected to use this joint channel in due course but the craft licenses do not cover its use at the present time.